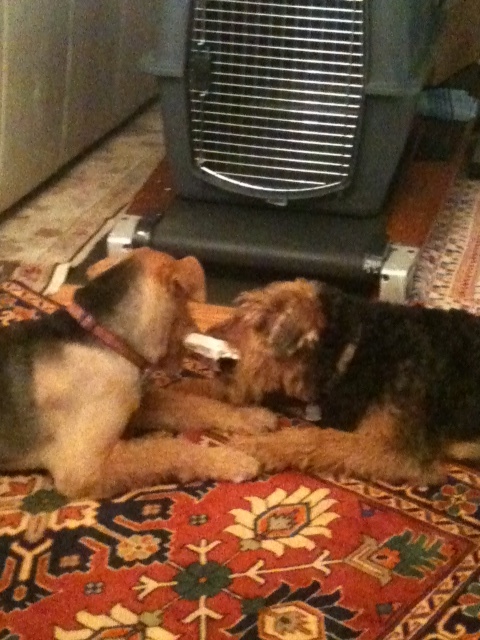 The playing goes on for hours and hours with Abby and Trevor, two ARG ‘dales who were adopted by a ‘legacy’ ARG family. Abby was adopted a year ago at the age of 8 and Trevor was adopted this winter at the age of 1. The two dogs love each other and sleep close together and also play together nicely. Trevor has a lot of energy and Abby has the authority to say when it’s time to rest. A great combination of dogs and family that ARG is very proud of!